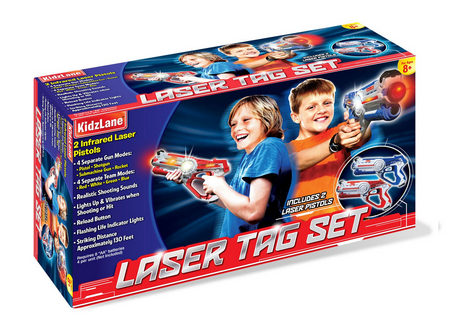 Amazon has the Kidzlane Infrared Laser Tag Game on sale for $24.99, down from $39.99. 4 different gun modes allow for interesting options - each includes a different range of available shots and lives taken per shot, so choose wisely between Pistol, Shotgun, Submachine Gun and Rocket! 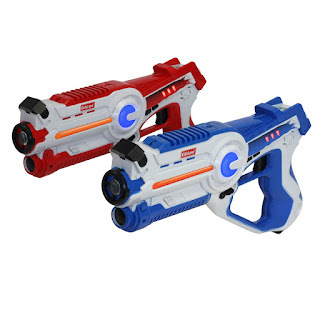 Thundering sound effects along with cool lights and tactile vibrations bring the combat to life.